The only available copies of early Indonesian film magazines were dated in 1953 (Royal Netherlands Institute of Southeast Asian and Caribbean Studies Library) and 1954 (Cornell University Library and National Library of Australia). The magazine in the collection is Dunia Film, a prominent film magazine published in the early 1950s by N.V. Dunia Film Company Ltd. From the collection of National Library of Australia, it can be concluded that Dunia Film had been published at least in 1952. 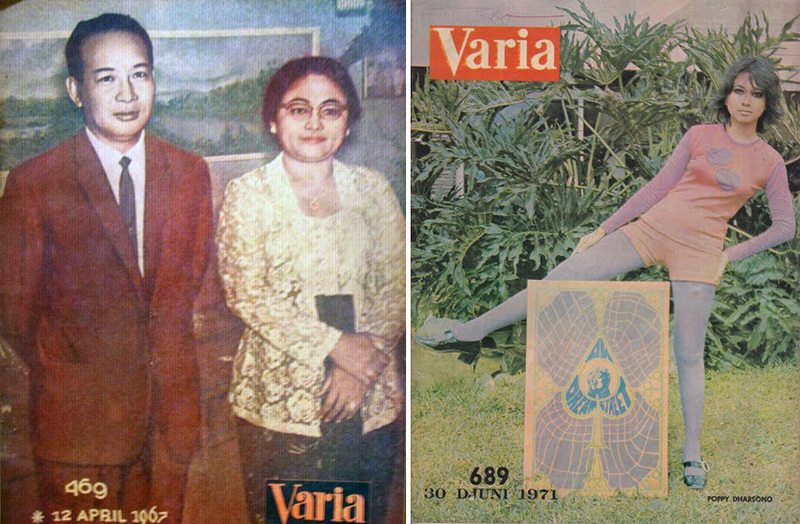 Cornell University library, arguably one of the richest holders of Indonesian archive has Film Varia, another prominent film magazine in the 1950s. The Cornell collection dates back to 1954 (Vol.1 No. 4). Under the editorial authority of Abdul Latief, Dunia Film presented news coverage and reportage from film festivals and film events, gossips of the celebrities/film stars (and their pictures), film critique, and varieties of film news, film reviews, and advertisements from distribution and import companies, and local film production companies. Many kinds of films were offered, such as Hong Kong film, Malay, Bollywood, Hollywood, Japanese, even Spanish, and Egyptian films (Ekky Imanjaya, 2007). The format of film reviews and critique in the magazine generally followed the format and trend of popular writing in early magazine period. As cinema entered the Dutch East Indies in 1900, the writing of film, particularly film reviews, had been a popular element in the magazine or newspaper. Anjar Asmara, one of the earliest Indonesian film critics, is an example on how the revolution of print media in the early 20th century shaped the publication of cinema medium. Anjar Asmara was an established film writer (later on, he wrote film scripts too). He was born in West Sumatera in 1902. He wrote film critiques and reviews in Bintang Timur (published from 1926-1965) since the late 1920s. In 1958, Anjar Asmara led Film Varia magazine (Pringgodigdo and Hassan Shadily, p.97, 1973) until his death in 1961. Most of the early accounts of Indonesian cinema history originated from his journalistic reports. Covers of Film Varia in 1967 and 1971. 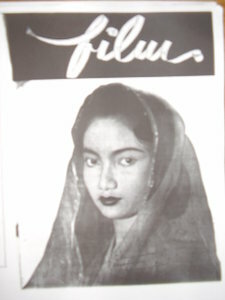 In the 1950s, the emergence of specialized film magazines coincided with the increase of Indonesian film production right after the Independence. However, this trend was no longer seen in the following period. Not until the 1970s and 1980s, did film magazines return to the press industry. In 1981, Yayasan Pengembangan Perfilman Nasional under the tutelage of Asrul Sani published a magazine called Citra Film. Some film organizations also published their trade magazines such as Film Indonesia, Bulletin KFT (Karyawan Film dan Televisi, Association of Film and Television Workers), Buletin Film and Sinema Indonesia (published by the Jakarta Arts Council), and Imaji (a journal published by Film and Television Faculty at the Jakarta Arts Institute). To some extent, these magazines and journals tried to provide critical views of the film industry’s situation in Indonesia. They also tried to reach a broader public but except Imaji, these publications did not survive. After 1998, Cinemags became the first commercial film magazine to be published in the country. Cinemags was founded in 1999 and was soon followed by a movie monthly magazine. These magazines changed the format of Indonesian film magazines. Not only were they dominated by Hollywood film news and reviews, they had more modern outlooks and designs that distinguished them from previous film magazines published in the country. In 2006, Majalah F was published by a group of former journalists but soon ceased from the public. First magazine and then Total Film Indonesia hit the magazine racks in 2009. The latest update came from the Moviegoers, published in early 2011. Most film magazines in Indonesia, particularly since the 1970s, dedicated most of its content to the film reviews and celebrity gossips. Rarely did they publish critical pieces or extensive articles of certain films/certain trend in cinematic arts, except Majalah F and Moviegoers. During the 1930s until 1950s, the critical articles about film were not found in the film magazines; instead they were published in arts and literature journals. This is understandable as film magazines depended on the advertisement’s income to run their business. In addition, the issue of sustainability is still a challenge for film magazine publication, more so today, when everything is going digital. [I have to mention two online journal/magazines that appeared in the last five years. The first is the critical Rumahfilm.org, run by a group of prominent Indonesian film critics since 2007 and Flick Magazine, online in 2009). Therefore, it is difficult to expect a good and critical film review or film criticism in general film magazines. One film article that appeared in an Indonesian journal that I consider, has a ‘Cahiers du Cinema’ quality, is an extensive article titled “Produksi Film Tjerita di Indonesia:Perkembangannya sebagai Alat Masjarakat” (The production of Fiction Film in Indonesia: Its Development as a Society’s Tool) from a journal Indonesia (vol.4, no.1-2, 1953). Written by a prominent writer, Armijn Pane, the article does not only contain a critical view of Indonesian film situation, but also comes with an extensive historical research scarcely found in popular film criticism. Today, we might no longer be able to see more printed film publications available but we still can find some good articles (in Indonesian, unfortunately) from online journals or websites such as Rumahfilm.org, cinemapoetica.com, and filmindonesia.or.id. In Indonesia, however, questions remains. To which direction film criticism will go? How does film criticism contribute to the development of the film industry and film appreciation in Indonesia? Veronika Kusumaryati is a film curator and writer. She is currently doing her PhD in Anthropology at Harvard University.